Festival fun for all the family abounds at these excellent events across the UK. Whether you want brilliant music, interactive theatre or workshops for learning new skills, these family friendly festivals are the best for 2019. Enjoy 90 acres of rolling hills, tree lined avenues, enchanted forests and a beautiful lake at Deer Shed Festival, set within the grounds of Baldersby Park. 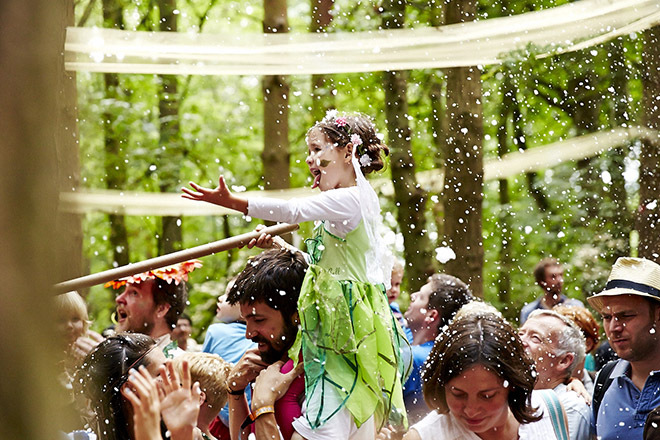 This is a true family festival, with a 50:50 ratio of adults to children and plenty of immersive theatre, art installations and walkabout performances. Plus a growing line-up of acts spanning all genres, from indie to folk to rock. For something chilled out by the sea, head to Broadstairs in Kent. Their Folk Week is a fantastic time to come to the beach, as there’s live music and workshops throughout, as well as a parade and plenty of good old English Morris dancing. It might be in the town, but there’s still camping for those keen – you can pitch up at a local school. 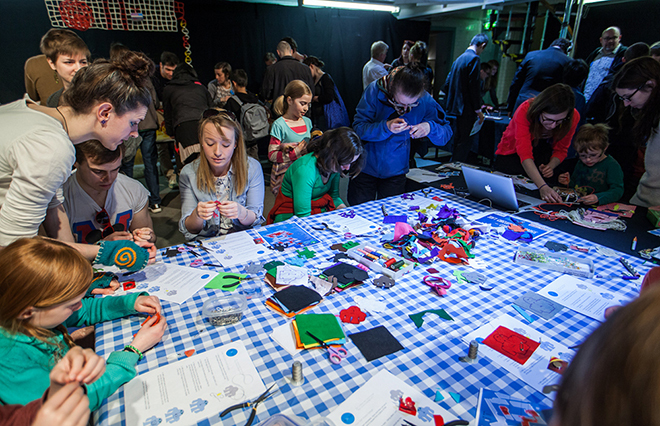 Edinburgh is famous for its Fringe and International Festival, but beyond August there’s a whole host of exciting events with families in mind. Try the Storytelling Festival, the Science Festival, or even the International Children’s Festival. There’s almost something every month here, just pick from this impressive calendar of events. The self-proclaimed “most rambunctous garden fete”, the Great Estate Festival is a glorious combination of music and family-friendly fun. See bands on stages with jovial names, like Wong’s House of Wrong and The Hokey Cokey Parlour, and eat some of Cornwall’s finest produce in The Village. Don’t miss this year’s Mexican Wrestling performances, and a soak in the wood-fired hot tubs. This annual celebration of music, theatre, dance, circus, art, film and literature takes place in venues across Brighton and Hove every May. This year’s highlights include Museum of the Moon, a 20th anniversary dance party for children’s book Giraffes Can’t Dance, as well as storytelling, family jazz and debates. 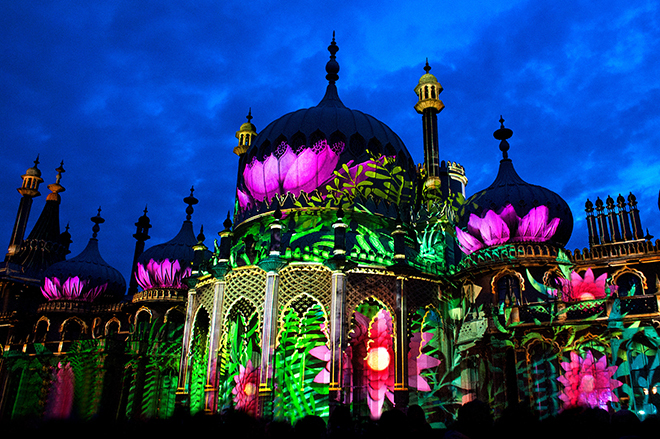 It also happens to coincide with Brighton Fringe, which runs throughout the whole month of May. This free, family-friendly festival is a great day out. Falling on 19 May, it marks the start of the UK watercress season and presents an opportunity to celebrate Hampshire watercress. There’s a street party in the town of Alresford, during which you can enjoy watercress in all its guises with over 80 food stalls. There’ll be kitchen demonstrations, music, crafts, dancing and entertainment, plus the ritual procession of the newly crowned King and Queen of Watercress dispensing freshly picked watercress. This is the ultimate way to get the kids excited about eating their greens. 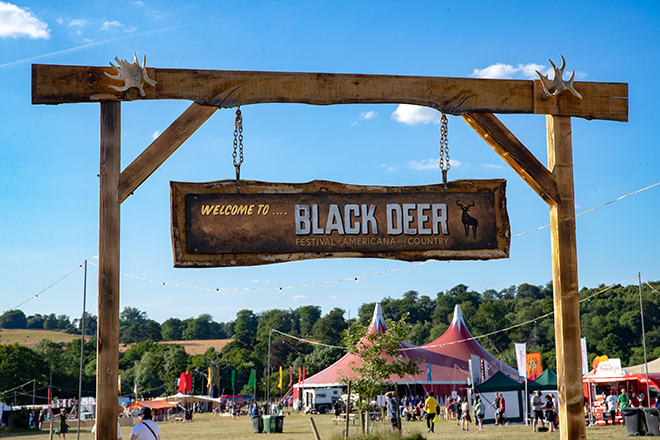 If country music is your thing, come to the Black Deer Festival, an award-winning celebration of country and Americana songs. 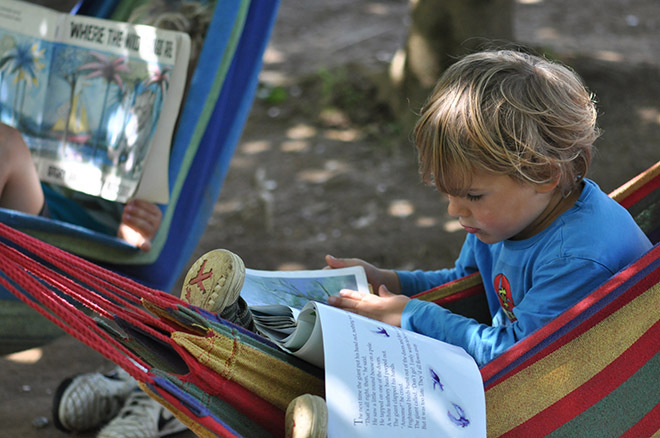 For the kids, there’s den building and adventure play with Woodland Tribe, art and craft workshops, guitar lessons and face painting and dressing up tents. 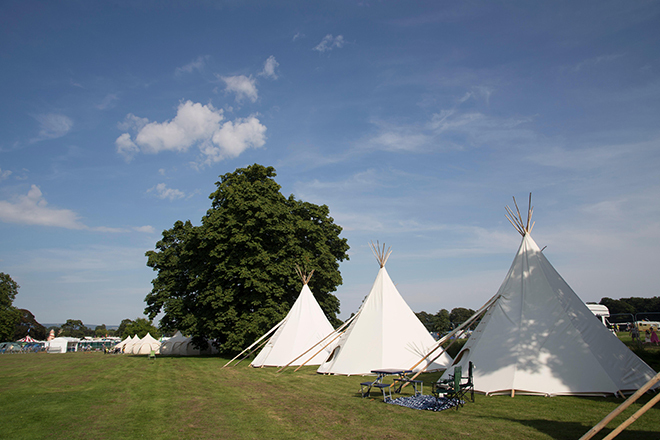 Bring your own tent or indulge in one of Black Deer’s glamping options, from cosy bell tents and tipis to hand-painted Gypsy caravans. “World of Music, Art and Dance” is what WOMAD stands for, and it truly is a whole other world. Expect music from across the globe on various different stages, workshops for kids, play areas and fascinating talks and debates. Plus, there’s the World of Wellbeing, where you’ll find massage therapists set up inside yurts in an arboretum, and impromptu yoga classes. 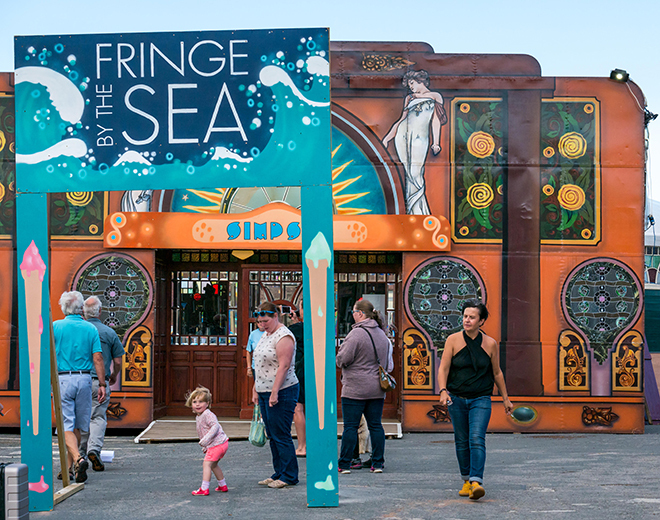 The Edinburgh Fringe is perhaps the country’s most famous arts festival, but head to North Berwick in East Lothian for a smaller, more manageble family experience. Expect a series of excellent acts, from theatre troupes to singers to talks from wildlife photographers, and plenty of spectacular sea views. Now in its 13th year and with around 5,000 visitors across the weekend, Weyfest is a favourite for Surrey residents and beyond. Set in the grounds of the Rural Life Museum in Tilford, Surrey, it transforms the area into a spectacular music festival with fun for adults and kids. Little ones will love the steam railway and sci-fi zone, where they’ll meet the likes of Daleks and Stormtroopers, and this year parents will love the line-up – Gabrielle, Lightning Seeds and The Brand New Heavies will be performing in 2019. “Small but perfectly formed” is how Porthilly Spirit describes itself. New for 2019, this Cornish festival is a celebration of all things outdoors. Expect paddleboarding on the Camel estuary, kite-making classes, campfire cooking and even dolphin watching, all with a sound track of exceptional live music. There’s a family theatre, a storytelling collective and family games aplenty, and glamping options for those who don’t want to rough it. Because above-ground festivals are so last year, you should head to Nottingham’s annual celebration of all things caves, which sees events set inside over 100 caverns! Explore what lies beneath Nottingham at this five-day festival, with intriguing events such as underground cinemas and cave yoga. You’ll discover Nottingham’s hidden landscape through a series of tours, talks, activities and experiences, and even see some of the city’s lesser known cave locations which will be opened to the public for the first time. This kids-first festival is bound to entertain the entire family. Set in the grounds of Rode Hall in Cheshire, it promises to be a weekend of good clean fun – aside from the potential mud! Expect bake offs, journalism workshops and midnight feasts for the kids inside the Curiosity Shop, and bush crafts, tree climbing and campfire tales at the Spellbound Forest. There’s plenty for the grown-ups too – dance in the flamboyand Flamingo Lounge and see live bands at the Footlights stage. The fairy-tale Herstmonceux Castle in East Sussex is the ultimate setting for a totally different festival experience. Here it’s all about immersive learning, with realistic battles, jousting competitions, archery, music, grand parades, storytelling, authentic crafts, medieval banquets and hog roasts. There’ll be an evening torch-lit procession and the kids will get to meet wizards, jesters, knights, dragons and princesses throughout the weekend. Come for a day, or camp overnight for the whole weekend (glamping options available). 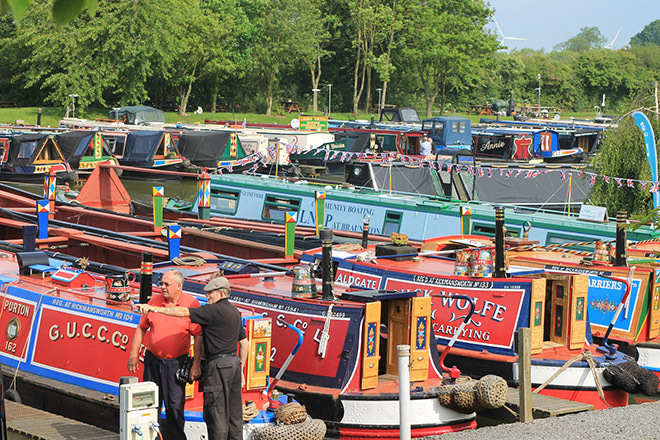 Britain’s biggest inland waterways event, the Crick Boat Show is expected to attract over 26,000 visitors this year. This huge marketplace, showcasing the inland waterways industry with nearly 300 exhibitors, offers a fantastic family day out with dozens of boats to explore, free boat trips, advice seminars on boat ownership, live music, children’s activities, a real ale marquee and a large variety of food and drink stalls. There’s no better way to appreciate Britain’s glorious inland waterways and the vessels that travel upon them. Over 70,000 people attend this waterside event in Stratford-upon-Avon, and it’s well worth bringing the whole family. There are market stalls, live music, dance performances, and plenty of kids entertainment. Plus, Pimms tents for the adults and local real ales for the beer heads in your party. Don’t miss the illuminated boats parade and fireworks display at the end of the day. Lead photo by Ten Eight.